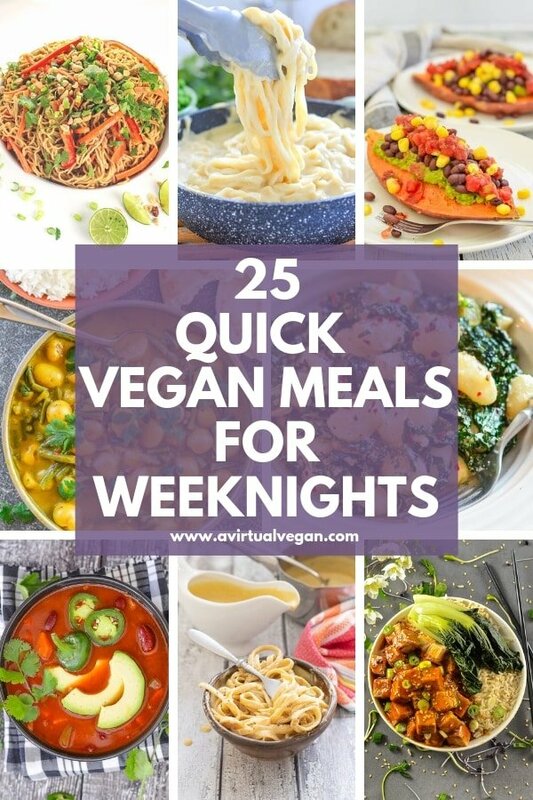 Crush those weeknight goals, eat well & still have time to put your feet up, with these 25 quick vegan meals that take 30 minutes or less. Monday to Friday. Life is hectic. Everyone’s hungry and you don’t have the time or energy to spend ages in the kitchen cooking dinner. 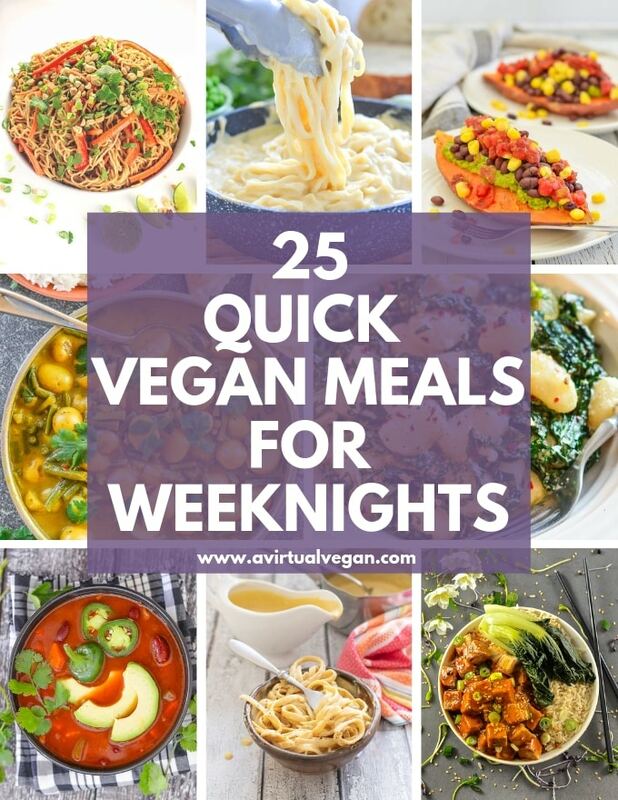 So, I’ve put together this collection of Quick Vegan Meals for Weeknights, from my own tried and trusted recipes, so that you can crush those quick vegan dinner goals, eat really well and still have time to put your feet up and enjoy your evening. 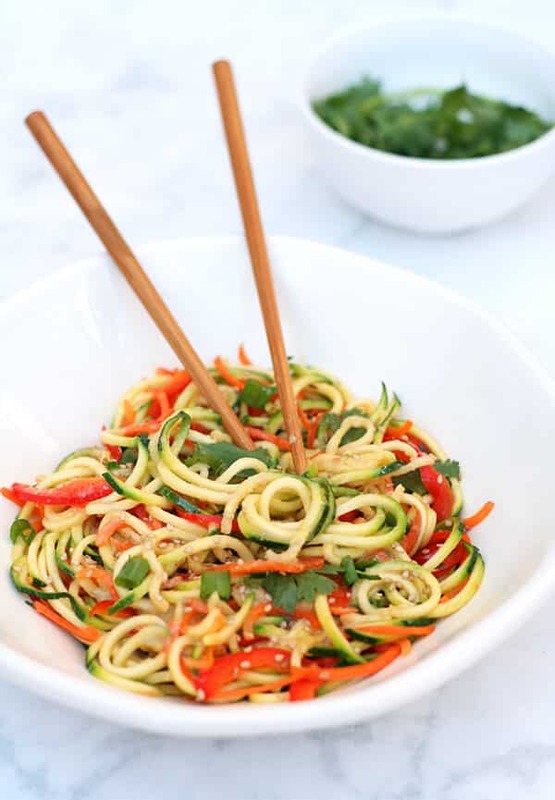 These quick vegan meals are fast and easy but still really good. Because we never want to sacrifice taste! And they are all ready in under 30 minutes. Some much less. Remember too, that most of these recipes can easily be doubled so that you can reheat them later in the week. It’s something I do all the time and it helps keep me sane at dinnertime. When you are stressing about what to make for dinner, it’s lovely to go to the fridge and find a meal that you stashed away and forgot about! 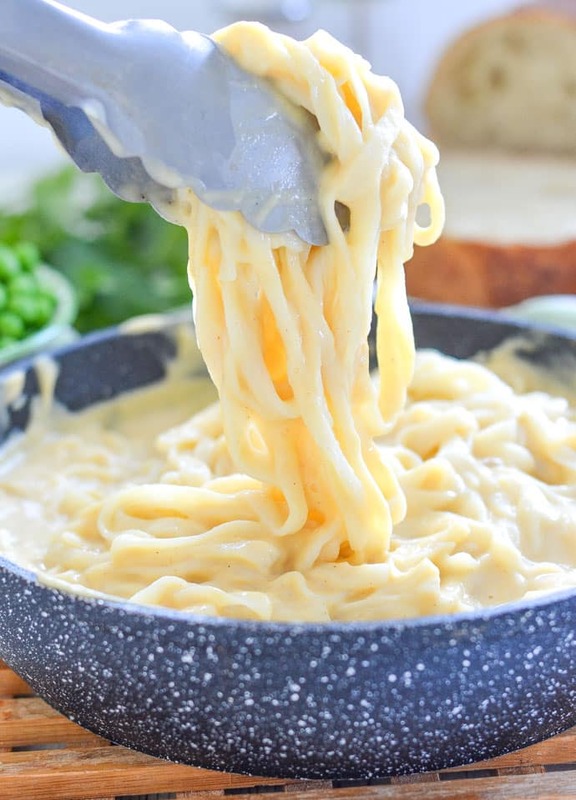 Boil some pasta or macaroni and while it’s cooking make this sauce in your blender. 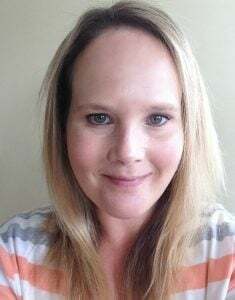 It is super simple and takes a couple of minutes. When the pasta is al dente, drain, return to the pan, pour in the sauce, toss and serve immediately. Serve as it is or with some steamed veggies or a crisp salad on the side. 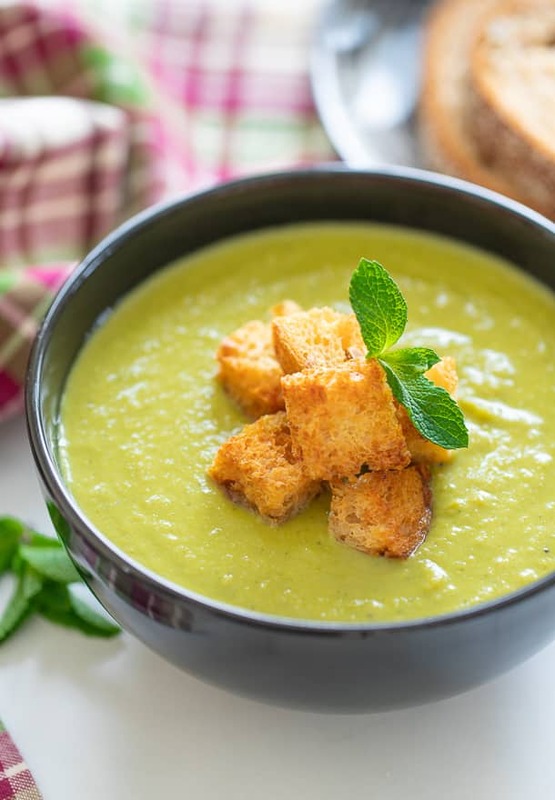 Made with frozen peas, this soup is so quick and easy. Ready in under 20 minutes! Sounds fancy, looks fancy, but takes under 15 minutes to make! 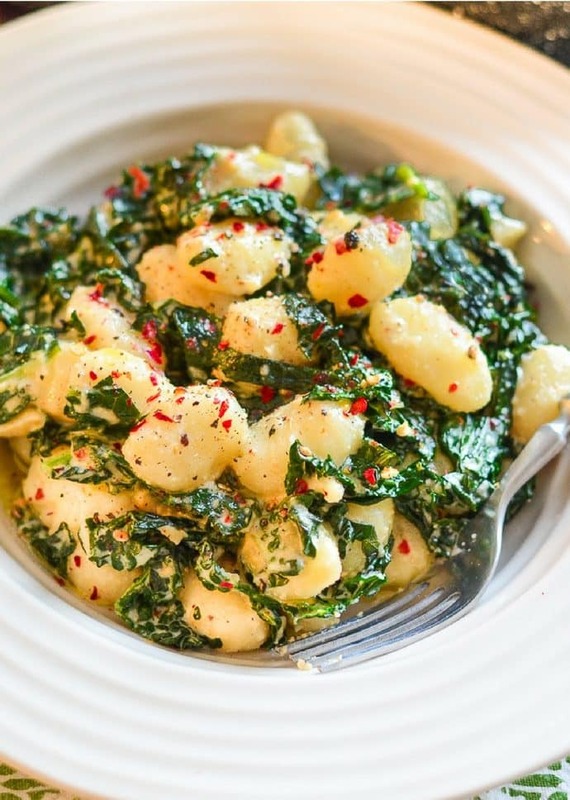 Most store bought gnocchi is accidentally vegan (be sure to check the label ), so next time you’re at the store grab a packet and you will be all set to make this. 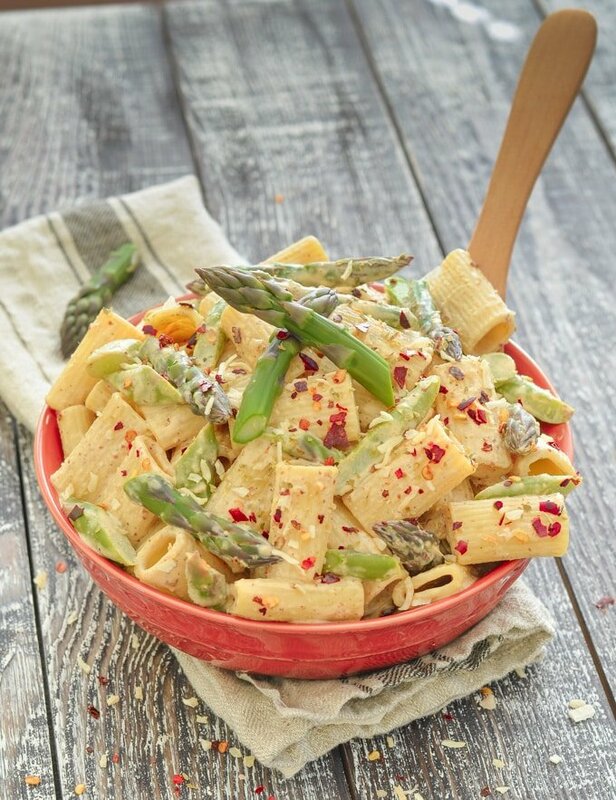 Packed with flavour and ready in under 30 minutes. If you don’t have an Instant Pot, stove-top instructions are included too and it only takes 10 minutes longer. 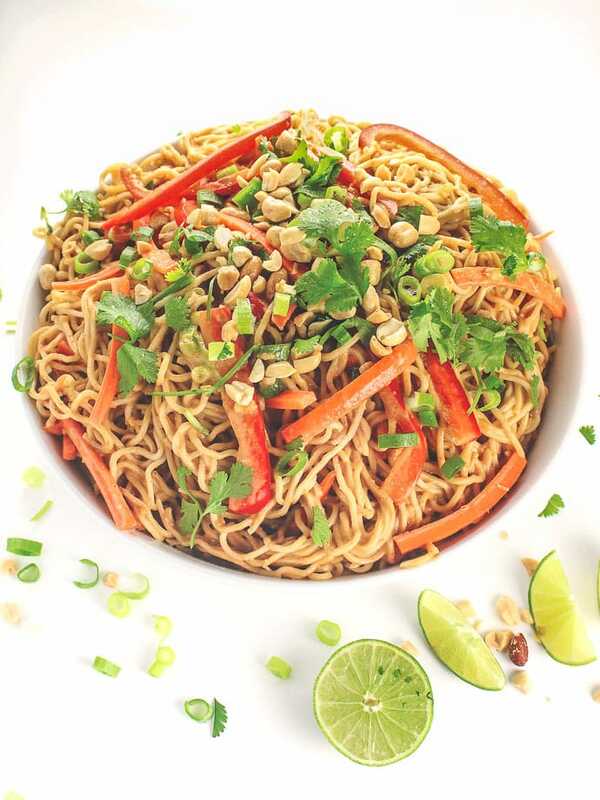 Super tasty peanut noodles ready in only 15 minutes. This recipe is a great one for making extra of, because leftovers are great cold. Pack them up for your lunch the next day! If you are wanting super quick and easy meals, an Instant Pot or other electric pressure cooker is a great investment. 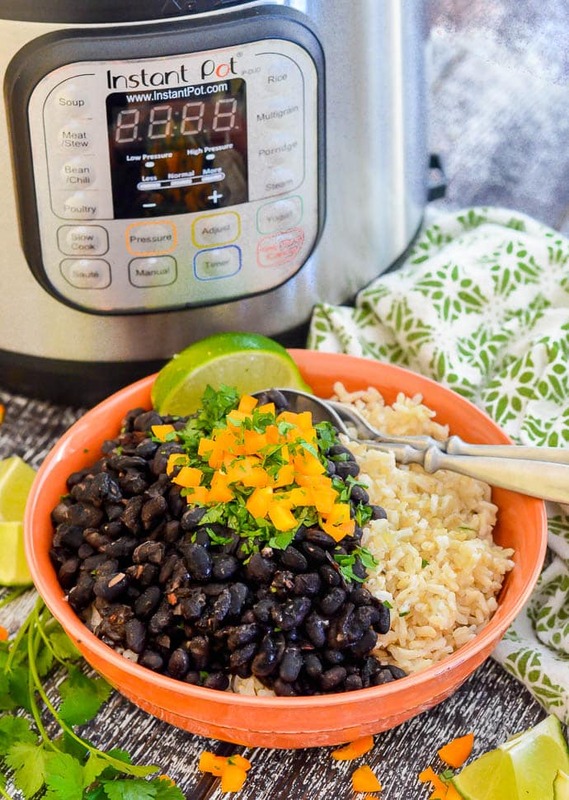 These black beans cook from dry with no soaking in under 30 minutes. I like to make a big batch, then serve them with rice and chopped raw veggies on the first night, and use leftovers for burritos, tacos, nachos, wraps or salads on the days after. 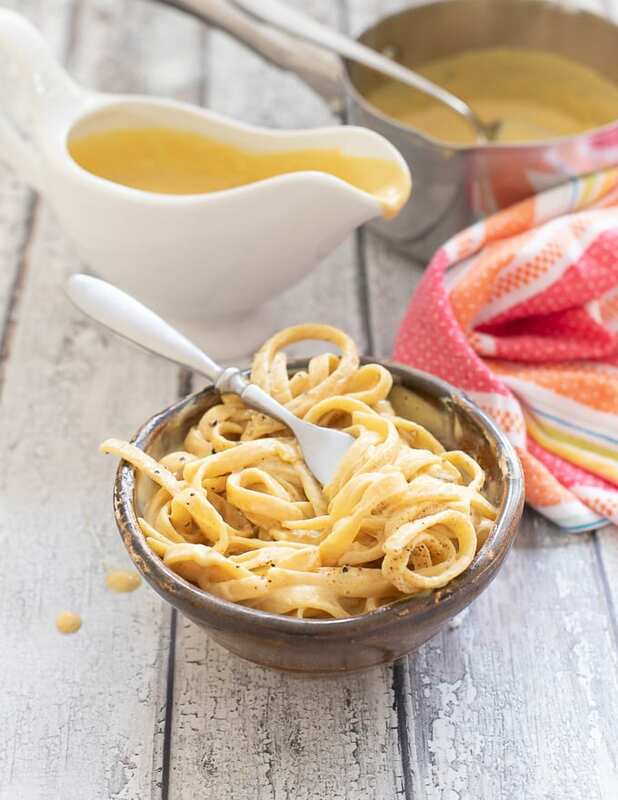 Quick, easy and virtually fat free Alfredo sauce made with Cauliflower as its base, so you even get a serving of veggies as well! 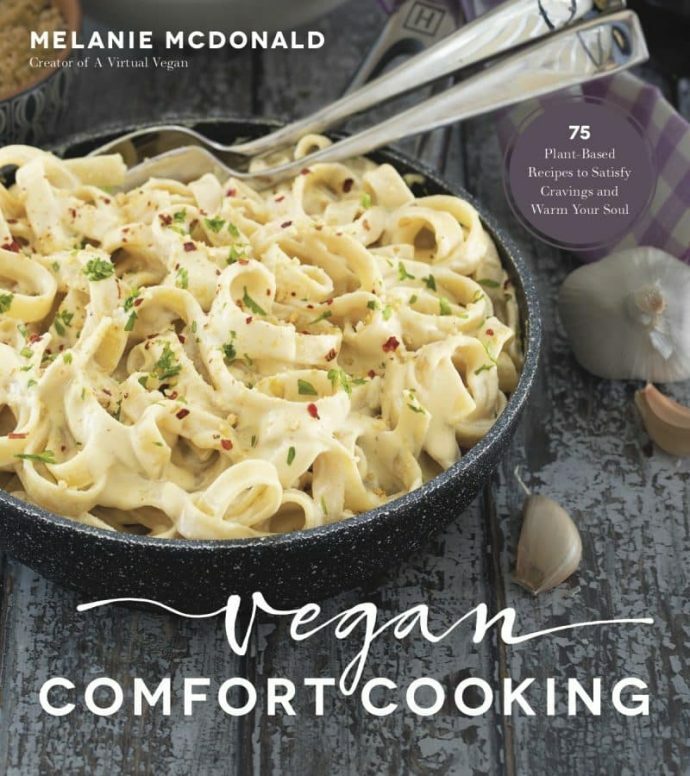 The only real cooking involved is boiling some fettuccine or other pasta and steaming or boiling some cauliflower until tender. It’s so hassle free! Yep, they are named “breakfast boats” but they are fantastic for an incredibly quick and healthy meal at any time of day. Assuming you have a microwave to cook the potato in, these can be ready and on the table in around 15 minutes. If you don’t have a microwave and need to bake the potatoes in the oven it will take longer, but you could cook them at the weekend, wrap them and store in the fridge. Then all you have to do is warm them through in the oven as you need them. 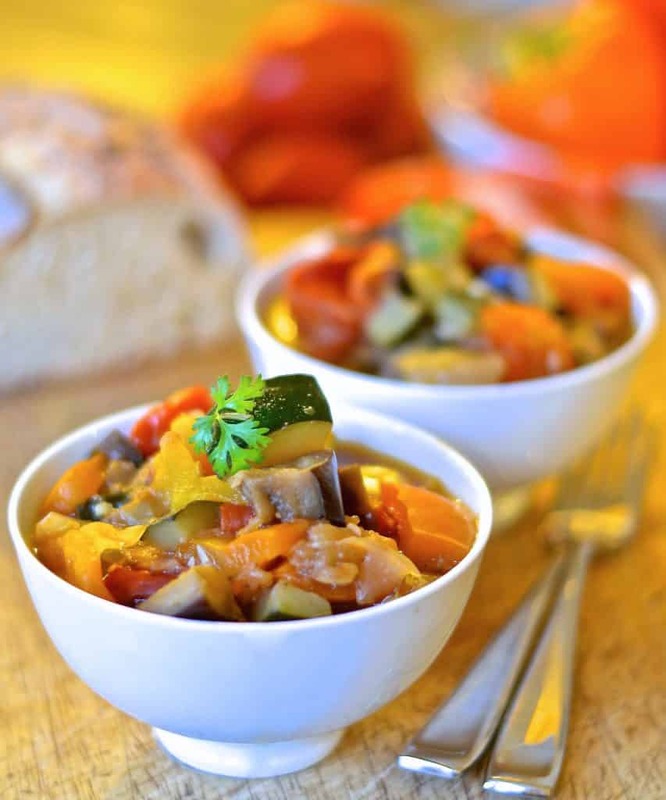 Aromatic herbs & beautiful fresh vegetables come together in this very hearty, super healthy Easy Ratatouille Recipe which combines big flavour with simplicity. I like to serve it with rice, pasta, quinoa or couscous but it’s equally good with some hearty crusty bread. It’s a perfect, quick & easy week night dinner. 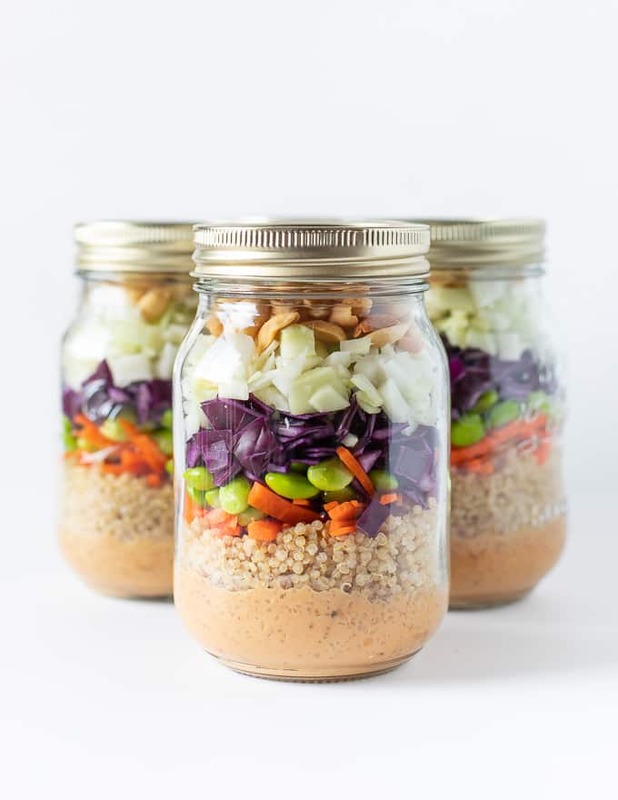 I created these Salads in jars primarily for packed lunches, but they also work incredibly well for quick dinners. You can make up a big batch of them at a time and they last for 5 days in the fridge. Just tip them out, toss them up and enjoy. To make them more substantial for dinner try topping them with some crispy pan fried tofu or tempeh. See my note in the post about making a little extra salad dressing and using it to cook your tofu in. You could also keep a stash of vegan “chickn” or vegan fish in the freezer to use instead. The Gardein metless “meats” are so good! This might be a “salad” but it’s really filling and so yum that it’s perfect to eat as it is for dinner. It tastes great warm or cold. 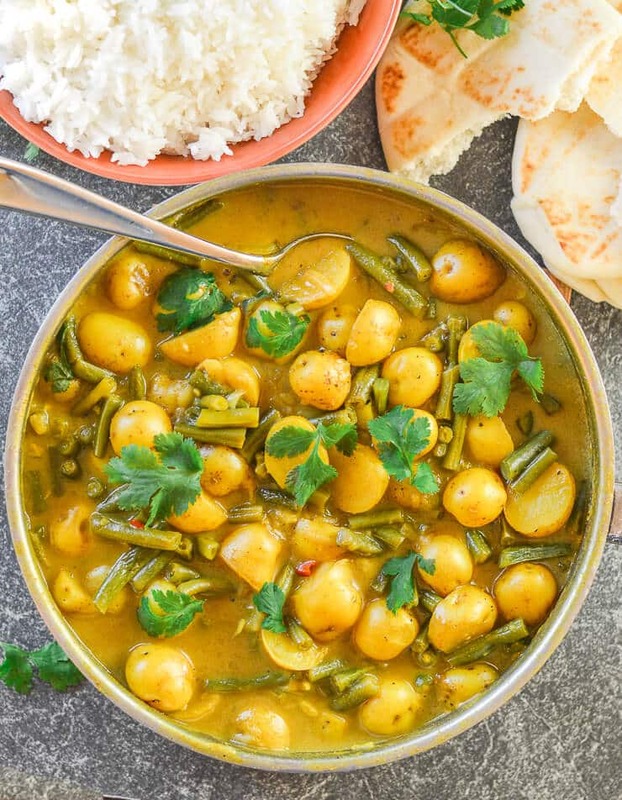 A really budget friendly, simple curry with no fancy ingredients, that is ready in only 30 minutes. I have an Instant Pot version too which you can find here. 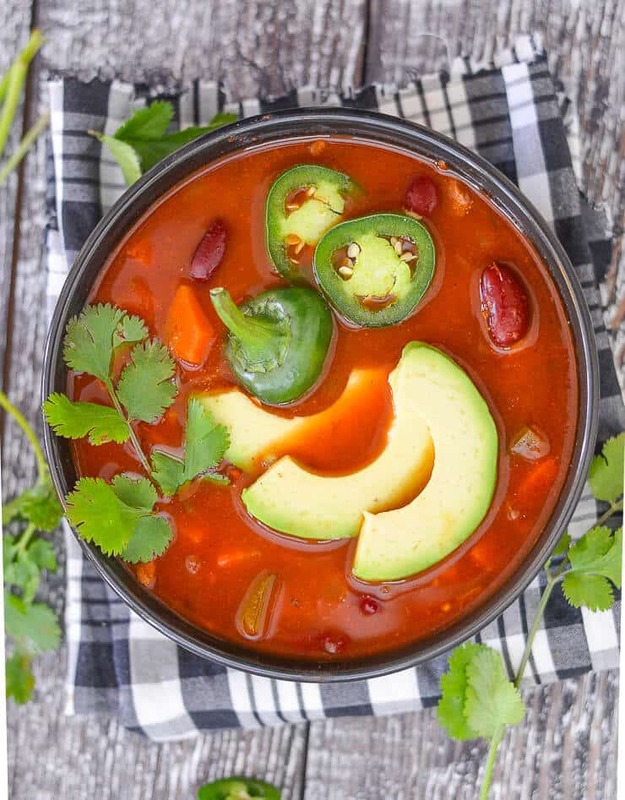 All the flavours of chili in soup form. 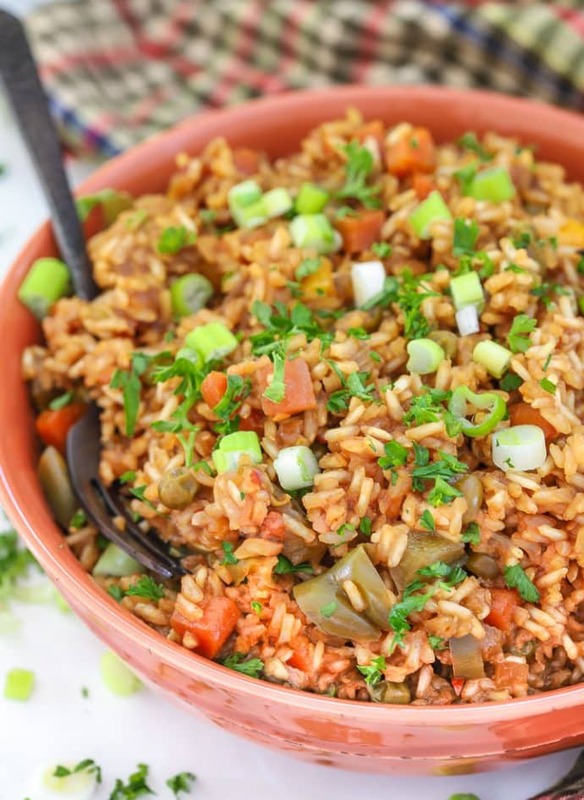 This recipe can be ready and on the table in only 30 minutes if you cook it on the stove top. Slow cooker instructions are included too. 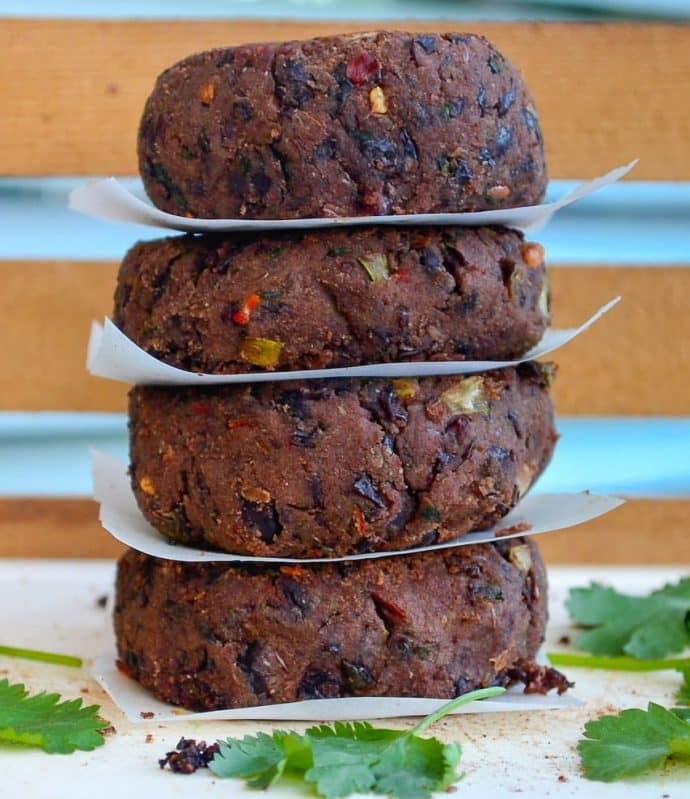 These burgers are made using canned beans and they come together in under 10 minutes. Serve them in a bun or pita bread with salad, guacamole and hot sauce, or just with a big green salad or some oven fries on the side. This recipe is great for brunch, or for a super quick and tasty protein packed dinner. Grab a lovely crusty loaf of bread to mop up that spicy tomato sauce! 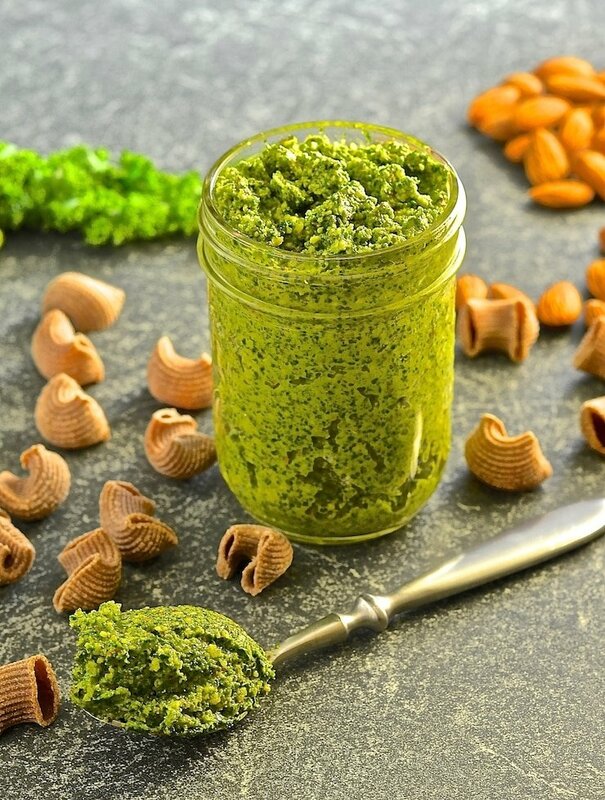 Whizz this pesto up in a food processor in minutes, then stir it through freshly cooked pasta for a really quick dinner. It keeps really well in the fridge for a week too so you can make extra for another day. 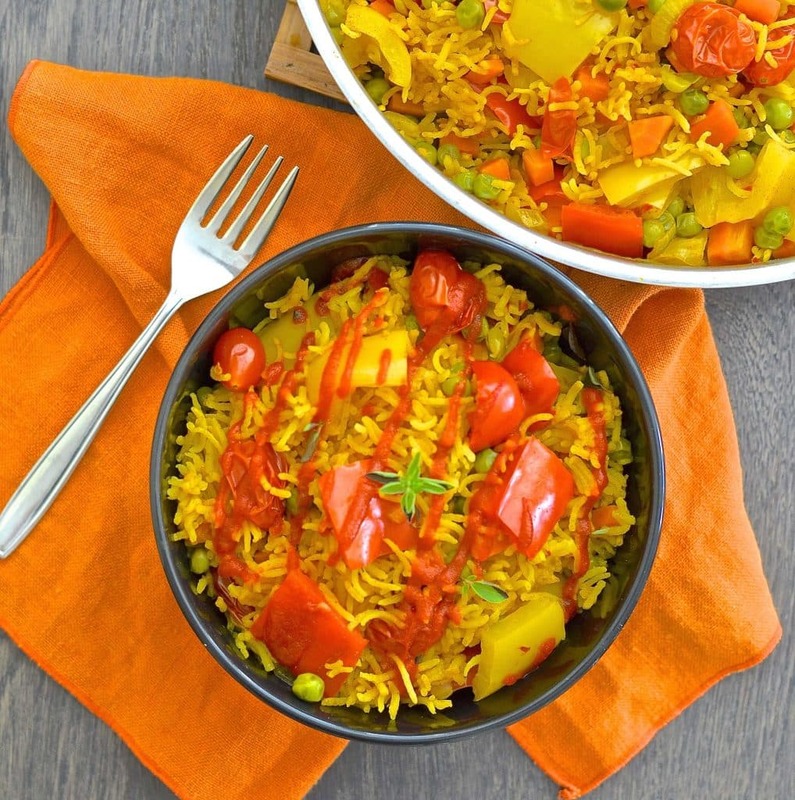 Flavour packed spicy rice, full of sweet bell peppers and cherry tomatoes. Ready in only 30 minutes. 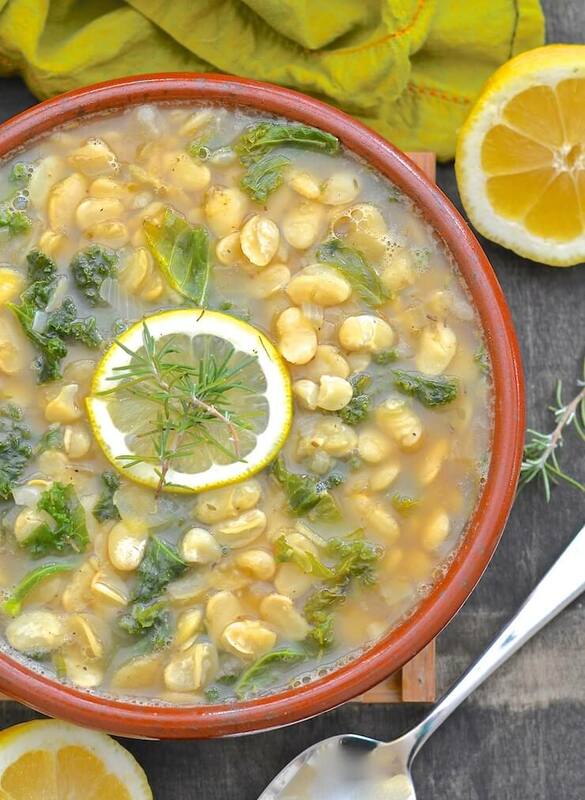 A simple and light white bean stew that is full of fresh lemony, garlicky flavour & ready in under 30 minutes! This recipe has NO cooking involved at all and takes only 15 minutes to prepare. 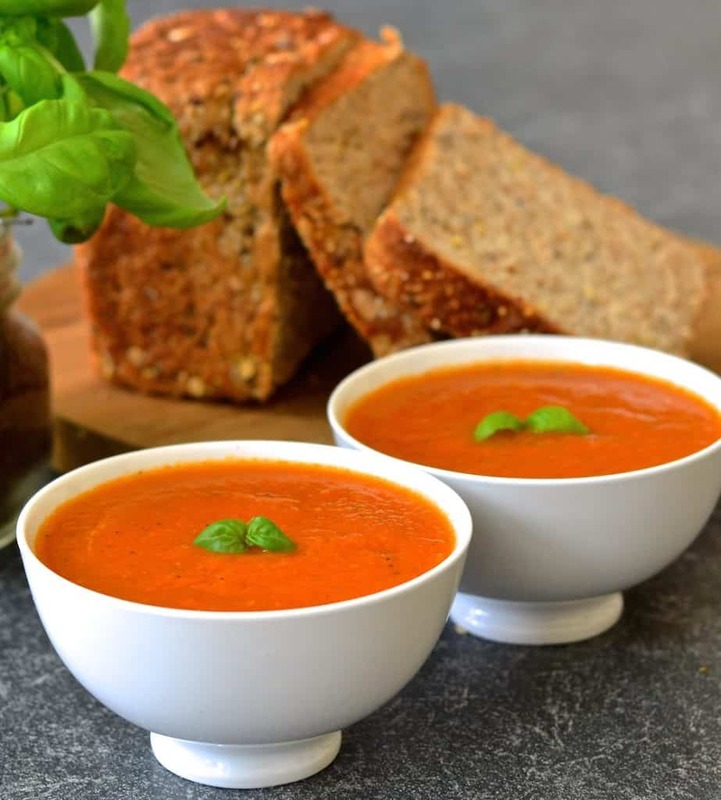 The easiest Tomato Basil Soup EVER and it’s so fresh & vibrant. Made with just 4 ingredients (plus salt, pepper & optional olive oil) and it only takes 10 minutes to make! 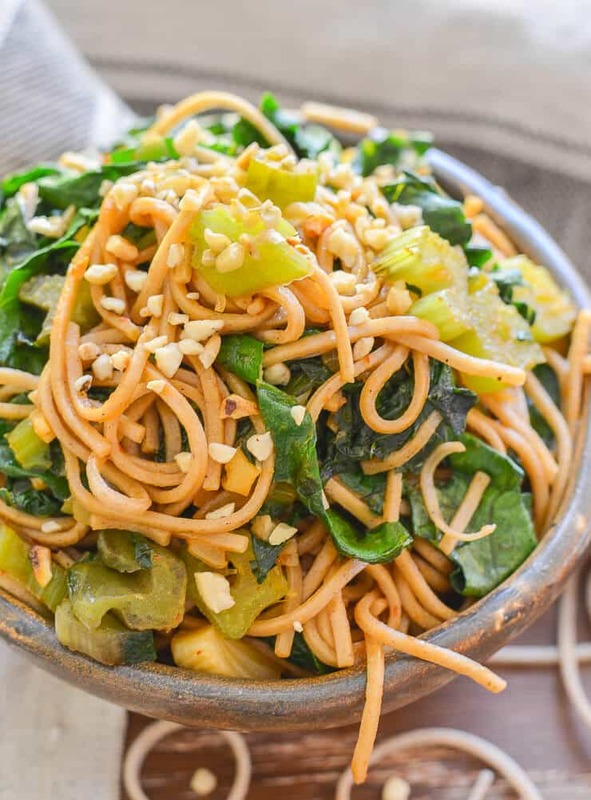 This Swiss Chard Soba Noodle Stir Fry is super quick & easy to make & is tossed with the most delicious sweet, savoury & spicy ‘instant’ sauce! 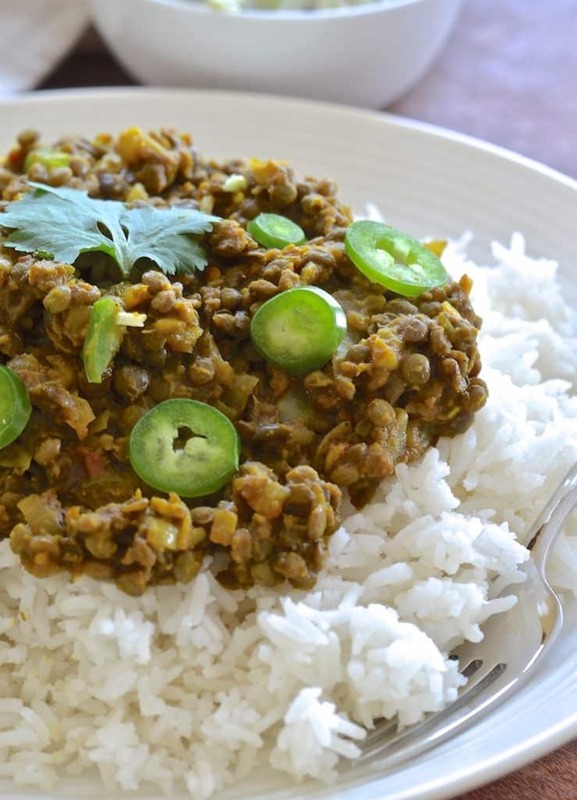 Spicy & flavourful Indian style Keema Lentils that are ridiculously easy to make. Cook in a pan for a speedy dinner or use a slow cooker so they are ready when you walk in the door. 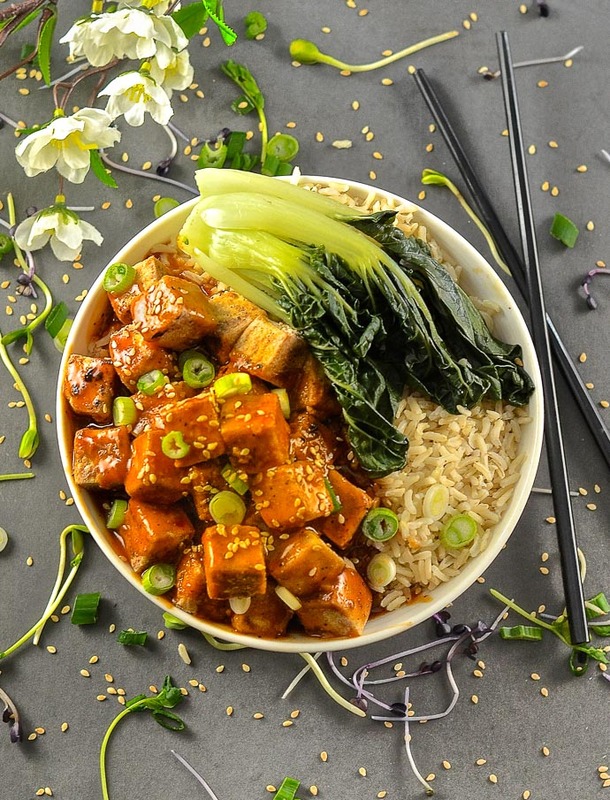 Five Spice Tofu with Chili Ginger Sauce. It’s sweet, sticky & spicy with amazing depth of flavour and ready in only 30 minutes. A perfect mid-week meal! 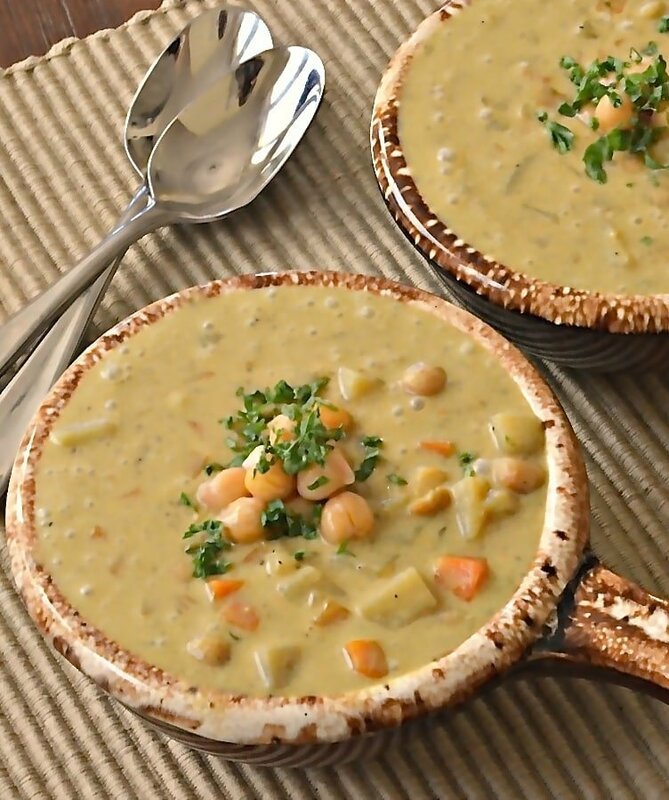 This lightly spiced Creamy Chickpea Curry Soup is easy to make and can be cooked from scratch in less than 30 minutes. 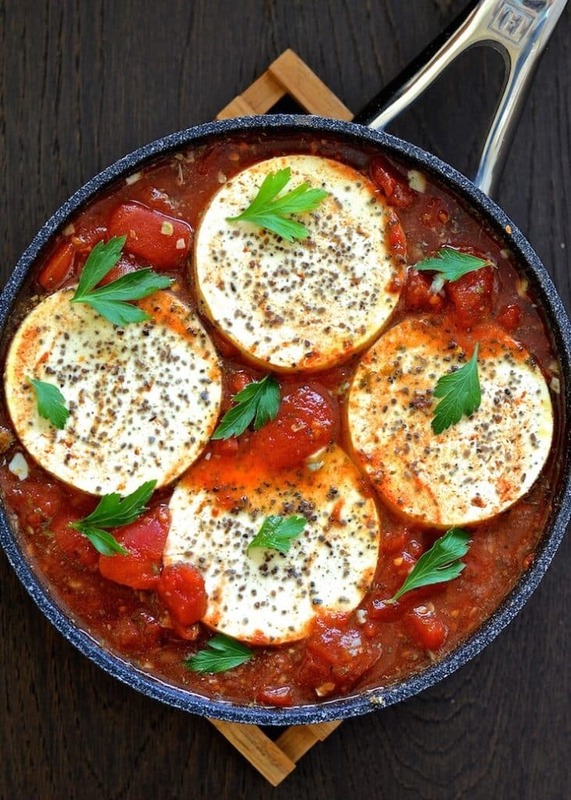 Healthy, comforting and perfect with fresh, crusty bread or warm naan. 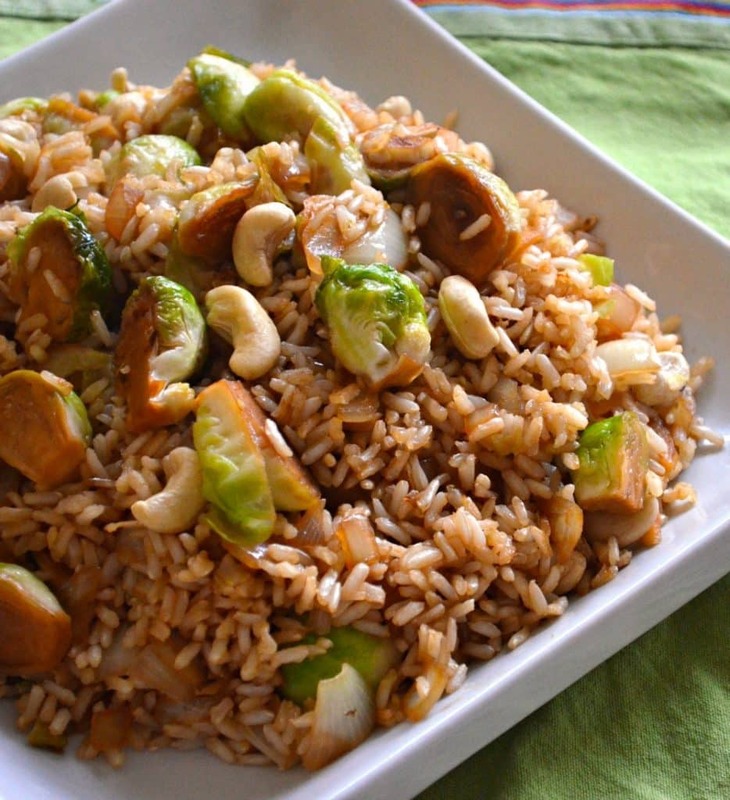 A simple, super speedy & delicious Brussels Sprout & Cashew Fried Rice in a delicious tamari, maple sauce that takes only 15 minutes to make! I hope this has given you some much needed inspiration. 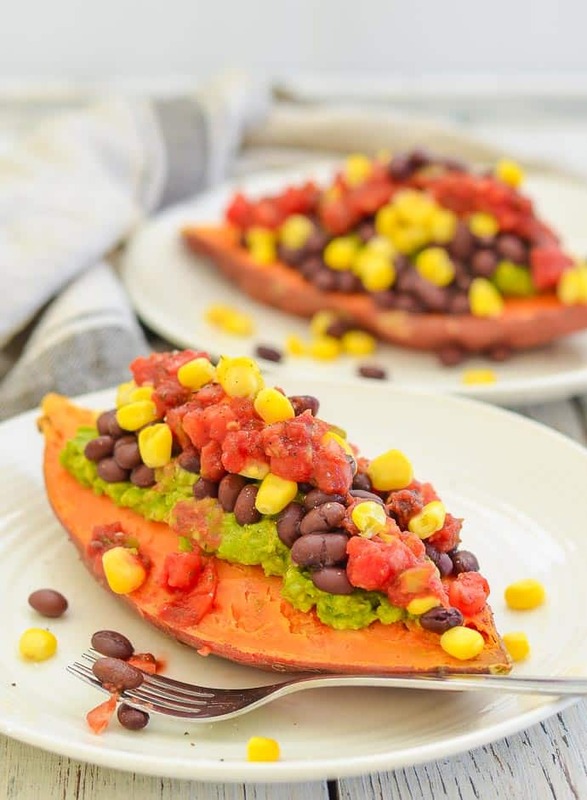 Be sure to bookmark or pin it so that you can come back to it when you’re needing a dinner solution fast! 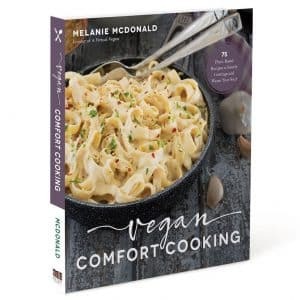 Hi Mel, Thank you so much for helping this “new vegan” to do the right thing.